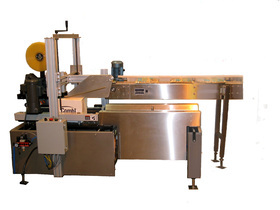 Combi offers two hand packing stations that seamlessly integrate a case erector, hand packing station, and case sealer into compact and cost effective workcells. 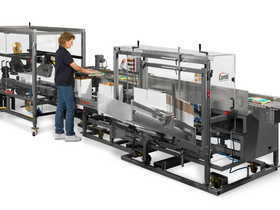 The Combi Ergopack and Ergomatic are unique in the industry and the perfect packaging solutions for hand packing the widest range of products. 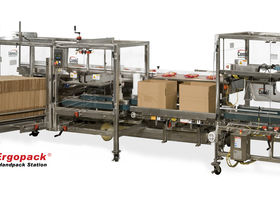 This pick and pack station is ideal for food packing applications requiring inspection before packing, packing products of variable sizes where total automation is impractical, or applications where more than a stand-alone case erector is required.